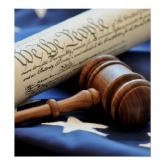 Thomas D. Leidy, Esq., Attorney, Lawyer in Boyertown, Pennsylvania, represents clients in Boyertown, Reading, Pottstown, Chester, Lancaster, New Berlinville, Bechtelsville, Gilbertsville and the surrounding areas. We serve all communities in Berks County, Lebanon County, Lehigh County and Montgomery County. It is never too early or too late to have a plan. Through my practice at the Thomas D. Leidy law firm, in Boyertown, Pennsylvania, I assist clients of all ages and stations to protect their rights and preserve their wishes using the tools afforded by elder law and estate planning. I have practiced law since 1976, and my legal assistant has more than 33 years of estate administration experience. I am also a licensed notary. I can notarize documents when making house calls, thereby speeding up the legal process and avoiding the extra expense of hiring an outside notary public. I work to complete document drafts quickly, so you can review them in a timely manner. I will work at your speed and explain all of the intricacies of your legal matter so you can receive the service you deserve. 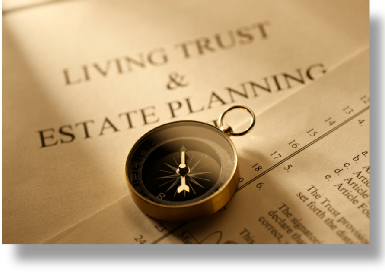 I return correspondence promptly and answer my clients' questions about decedent estates. I keep them informed of developments in document creation or probate matters. Please read our Practice Areas overview for a more comprehensive review of our legal services. I take pride in being friendly and cooperative. As an attorney in solo practice, I can take the time to understand my clients' problems, explain their options, and resolve them to satisfy their unique goals. I work diligently in consultation with my clients to completely review and research their legal issues and consult with them at their convenience, not my own. A graduate of Case Western Reserve University Law School, I am admitted to practice in Pennsylvania courts, the U.S. District Court Eastern District of Pennsylvania, and the United States Tax Court. I am also active in my community, having recently served on the executive board of the Berks County Community Foundation. I serve pro bono counsel and as a member of the Board of Directors of the Boyertown Museum of Historic Vehicles, Inc.
My father was for many years a lawyer in Boyertown, and I have inherited his practice as well as his commitment to providing clients with high-quality legal services at a reasonable cost. The Thomas D. Leidy law office is open weekdays 9 a.m. to 4:30 p.m., and Fridays 9 a.m. to noon. I offer a free 30 minute initial consultation to each prospective client, and evening appointments are available by request. I make house calls for clients who are unable to travel. My law office is one block south of East Philadelphia Avenue in downtown Boyertown, Pennsylvania. Contact me today online or by calling (610) 367-2479.